Dr.Grayson received his Bachelor of Science degree from Parsons College in 1967 and his Doctor of Optometry degree from Pennsylvania College of Optometry in 1971. Most recently, Dr. Grayson become one the first Board Certified Optometrist in the United States. The certification, which was administerd in the December 2011, demonstrates that Dr. Grayson is dedicated to keeping current in the field of optometry and delivering quality patient care. 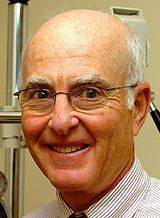 He joined in a practice with Dr. Lapidow in 1975 and it became what is now known as EyeCare of Vermont. 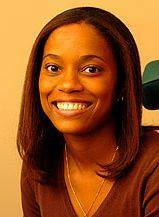 Dr. Grayson completed an internship in Visual Training at the Optometric Center of New York as well as an internship in Children's Vision at the Gessel Institute of Child Development. Dr. Grayson is a member of the American Optometric Association, Contact Lens Section, and the Vermont Optometric Association. He currently resides in Shelburne Vermont with his wife Jane. His daughter, Erica Diguglielmo, practices dentistry in Essex Junction, VT.
Dr. Eriksson joined EyeCare of Vermont in 1995. He received his Bachelor of Science from the University of New Hampshire in 1990 and his Doctor of Optometry from the New England College of Optometry in 1994. 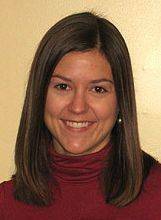 Dr. Eriksson had an internship at the Portland OR VA Clinic specializing in low vision rehabilitation. He has also provided care at the Dorchester House in Boston and practiced medical optometrics at the Eye Foundation of Utah. 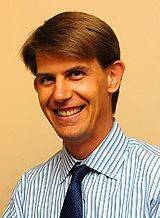 Dr. Eriksson is a member of the American Optometric Association, Low Vision Section, and the Vermont Optometric Association. He resides in Richmond with his wife Lisa and their three sons, Jake, Max, and Kurt. 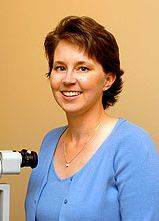 Dr. Cote joined EyeCare of Vermont in December 2000. She received her Bachelor of Science from the University of New Hampshire in 1993 and her Doctor of Optometry degree from the Pennsylvania College of Optometry in 1997. Dr. Cote completed one year residency in General Optometry at the Boston VA Outpatient Clinic, where she provided primary care as well as low vision rehabilitation. She also taught in the Ocular Disease laboratories at the New England College of Optometry. Dr. Cote is a member of the American Optometric Association, Low Vision Section, and the Vermont Optometric Association. Dr. Cote resides in Essex with her husband Joe, son David and daughter Genevieve. Dr. Phillip joined EyeCare of Vermont in 2005. She earned her Bachelor of Science degree from Dalhousie University Halifax Nova Scotia Canada in 2001. She later received her Doc. of Optometry degree from Indiana University School of Optometry in 2005. Dr. Phillip is a member of the American Optometric Association, Cornea & Contact Lens Section, and Vermont Optometric Association. She resides in South Burlington with her husband Rod, and sons Christian and Elijah.